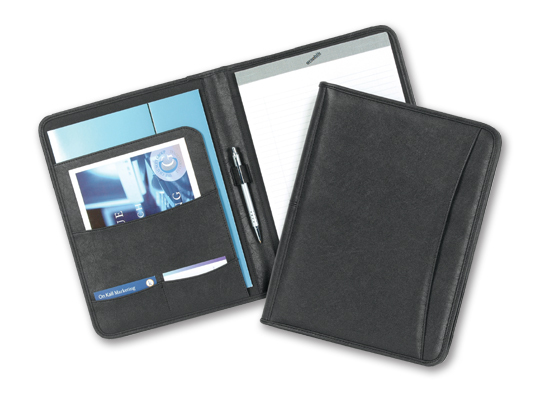 Featuring textured simulated leather, stitched and padded covers, large exterior and interior pockets, 2 card holders and a pen loop. Nice portfolio at a nice price. • Imprint: Deboss up to 8 sq. inches. Larger sizes available. - Pens: Add a branded pen to ship with your pad folder for an additional charge.